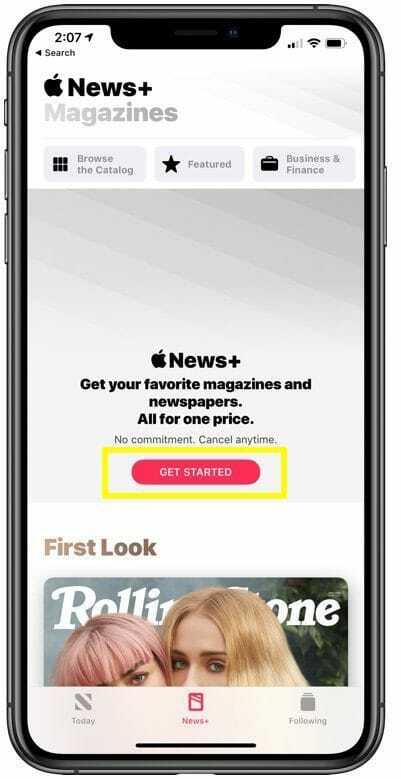 Apple has just introduced its new Apple News Plus subscription service that can be accessed within the Apple News app. Apple News+ offers access to over 300 magazines including The New Yorker, The Atlantic, Vogue, WIRED, National Geographic, and ELLE. Besides magazines, the premium service includes leading newspapers such as The Wall Street Journal and Los Angeles Times. As of now, Apple News Plus is available only in the US and Canada. The subscription cost in the US is $9.99 per month while in Canada it costs $12.99 per month. Those interested can subscribe for a free 30-day trial of Apple News+. In order to sign up for Apple News Plus, you must first update your iPhone or iPad to iOS 12.2 and Mac to macOS Mojave 10.14.4. Do note that you must be living in the US or Canada to get Apple News+ right now. Apple has mentioned that the service will be available in the UK and Australia later in 2019. 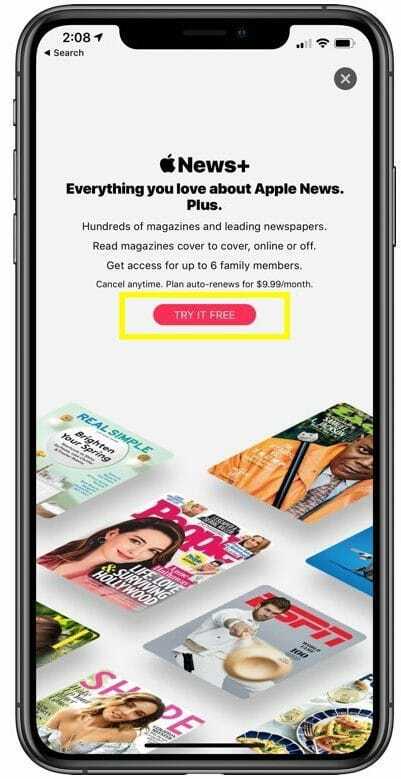 Here’s how you can sign up for an Apple News+ subscription on iPhone or iPad. Make sure your device is running the latest iOS 12.2. Open the Apple News app. Tap on the “News+” tab at the bottom of the app. Then tap “Try It Free” button to opt for a 1-month trial subscription. Tap the “Confirm” button. Use Touch ID or Face ID for authentication. That’s it! Apple will automatically renew the subscription and charge $9.99 per month after the trial is over. You can cancel the subscription anytime before the trial ends. 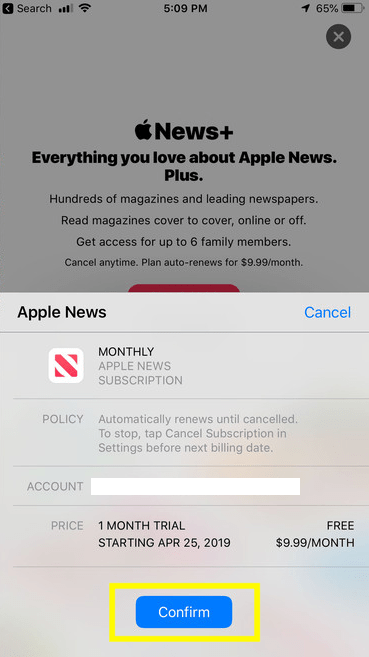 However, do not cancel the Apple News Plus subscription until you’ve tried it amply because the service ends immediately if you cancel the trial. You can set a reminder to get notified about cancelling the subscription before 30 days are over. After subscribing, you can browse the entire News+ catalogue, Featured covers, and also access online publications like Vox, The Cut, Vulture, and TechCrunch. One can swipe left to discover magazines from specific categories such as Entertainment, Science & Tech, Lifestyle, Food, Health, Business & Finance, and more. The app also has a “Reading Now” and “Recent” section that allows users to keep a track of publications they are reading.